Craving soup? Wait, craving Panera soup? 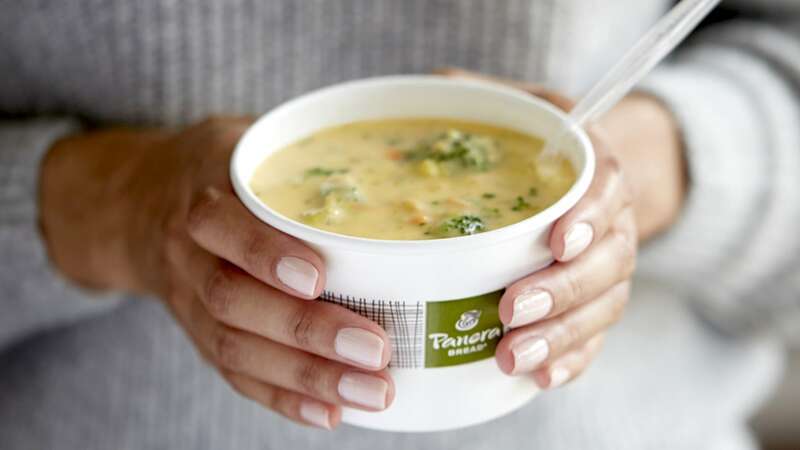 Hold on — craving free Panera soup delivered straight to your door? Ah, then today’s your lucky day, my friend. To celebrate the expansion of Panera’s delivery service, Panera is adding a free cup of soup to delivery orders. Here’s what you need to do: Enter the code “PANERADELIVERS” to your order placed on the Panera app or its website. You must order an item in addition to the soup (a minimum order of $5) and pay the delivery fee (in most locations, it’s $3). And you must live within an eight-minute drive of a Panera location. But, honestly, were you really expecting it to be completely free? Come on. “Panera delivery isn’t a pilot program,” said Blaine Hurst, Panera CEO, in a press release. “It’s not in just a few test markets. We now offer delivery across the country. The delivery service is now available in 897 cities and 43 states nationwide for lunch and dinner. What’s great is Panera employs its own delivery drivers, which means, since its launch, Panera has created more than 13,000 jobs to date. Better get your order placed stat — this is a one-day-only giveaway. To see if Panera delivers to you, visit delivery.panerabread.com.